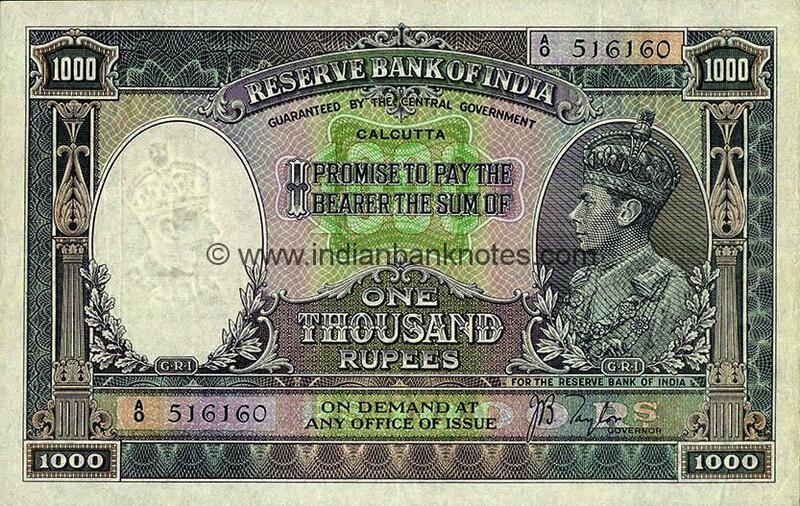 1st Issue: Issued in January 1938; withdrawn from circulation on 27th October 1957. 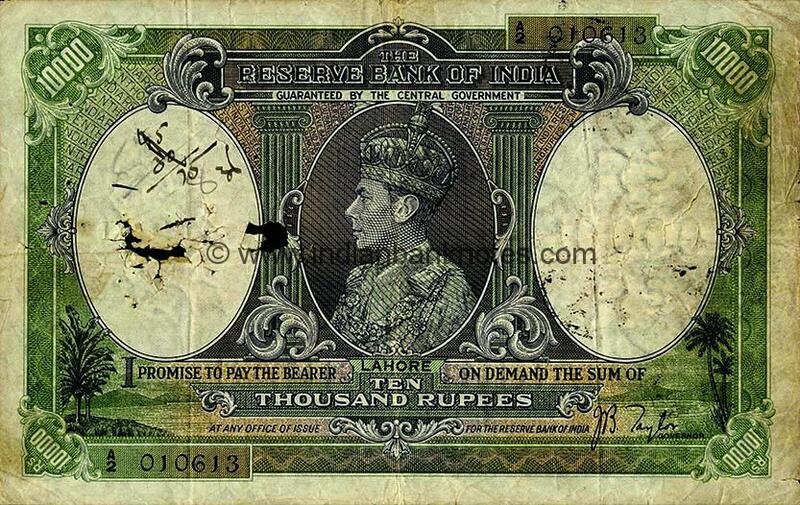 Printed on machine made, white paper. 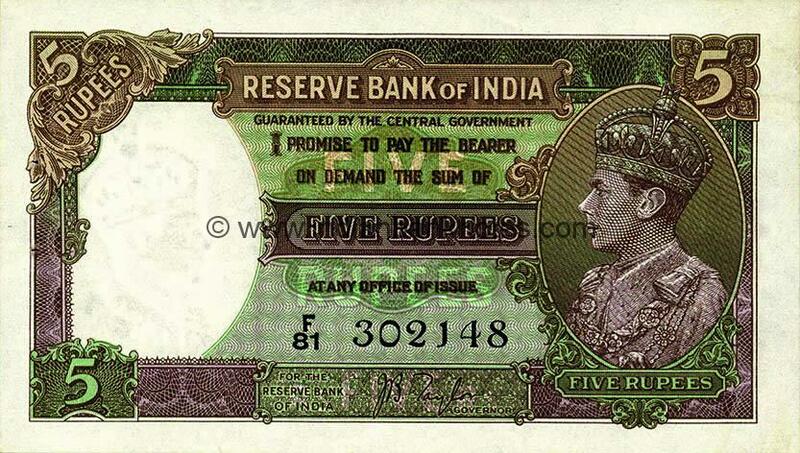 RESERVE BANK OF INDIA above with GUARANTEED BY THE CENTRAL GOVERNMENT below. 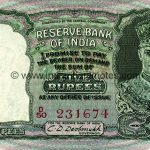 Portrait of King George VI in right window, FIVE RUPEES below it. 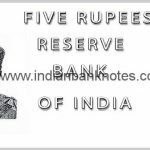 FIVE RUPEES in Central Denomination Panel. 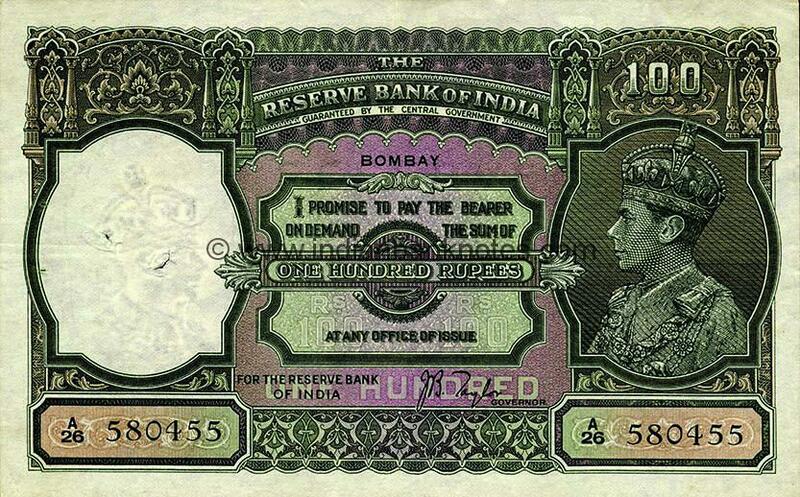 One serial number in lower centre. 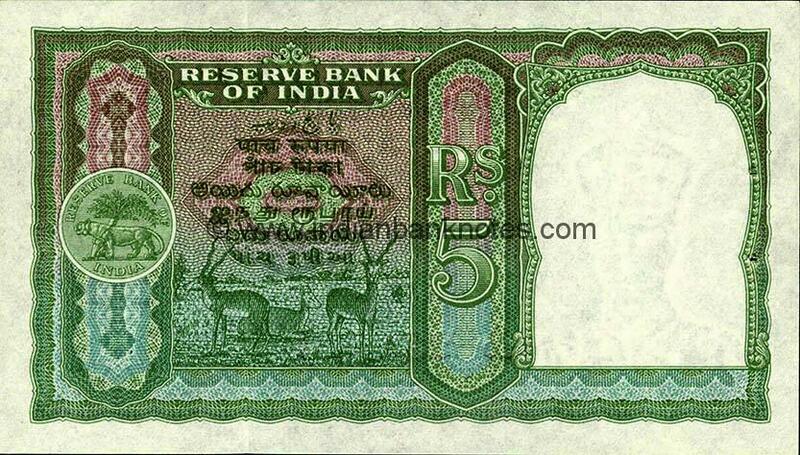 5 / RUPEES in top left. 5 in top right and lower left corners. 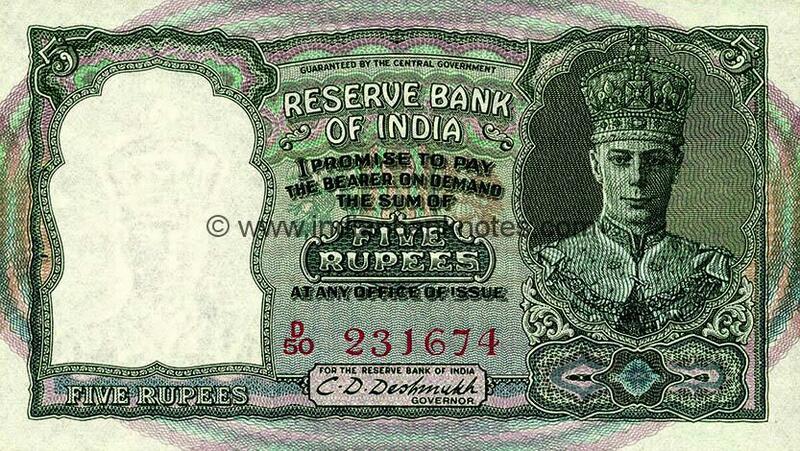 Relief underprint of FIVE RUPEES within promise text and Rs FIVE Rs within signature panel. 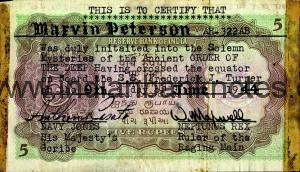 Signed by GOVERNOR FOR THE RESERVE BANK OF INDIA. 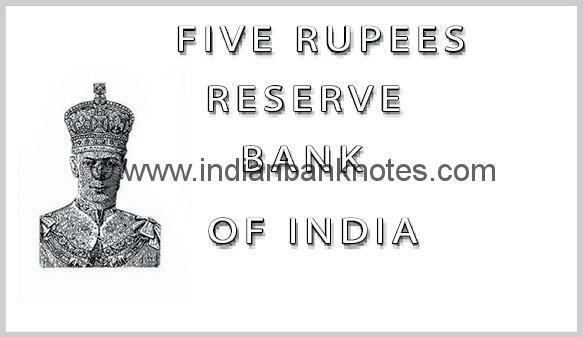 RESERVE BANK OF INDIA above FIVE RUPEES below language panel in centre. 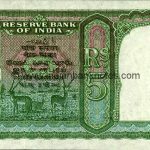 FIVE / 5 / RUPEES in three lines in left decorative window. 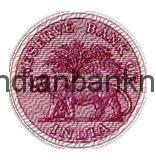 RBI logo in right window. 5 on top right and lower left.